Living by Faith Church is blessed to have Ambleside School of the Rio Grande Valley provide a wonderful Christian education using the church's building and grounds. From their web site: "It is the mission of the Ambleside administration and faculty to provide what Charlotte Mason called a “living education,” where each child is guided and empowered to author a full and free life, a life rich in relationship to God, self, others, ideas, and all of creation. Thus, our primary concern is the kind of student each child is becoming, not the mastery of particular data or technique, for we are confident that the student who masters the art of learning will attain his full potential for mastering data and technique." Click logo to go to their web site. 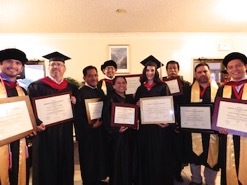 Edinburg Theological Seminary is the first graduate level theological school in the Rio Grande Valley. It is uniquely geared to the equipping of God’s people for multicultural ministry, especially those who contemplate a Hispanic component to their ministry within the fastest growing lingual-cultural demographics in the United States. Addressing the specific needs of this population, ETS is one of the first institutions to offer a Bachelor of Divinity in Bilingual Christian Education, and various programs leading to a Masters in Hispanic Ministries and a Doctorate in Sacred Theology. 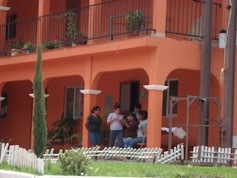 building specifically set up for volunteers who might want to go down and help as a missionary project. 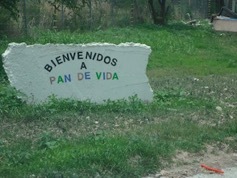 Just east of the city of Reynosa, Rio Bravo, Mexico is a city of great physical and spiritual need. God has provided an abandoned warehouse there, where a mission has been opened. 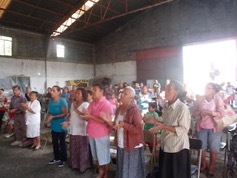 There, every week, between 100 and 150 people come to worship and hear the Word of God, though in the summer temperatures inside may reach over 100 degrees Farenheit. Also, whenever possible, we take donated food and clothing to help them with their physical needs. 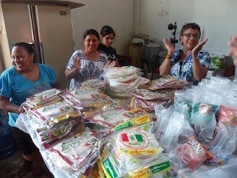 This mission was begun by, and is directed by Alicia Holt (a member of Living by Faith Church since its inception) and Lupita Pacheco.